A foreign national may work in Egypt if he or she obtains a work permit. 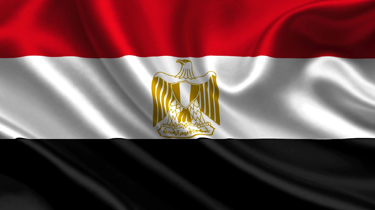 Work visas are issued to foreign nationals after they obtain work permits in Egypt. After a work permit is obtained, the foreign national's visa (whether tourist or temporary) is converted into a work visa, with the same duration as the work permit. A work permit is granted for one year if no Egyptian workers are available to fill the position. The permit must be renewed annually, for up to three years. The process of obtaining a work permit is the same for any foreign national working in Egypt. An application must be filed with the Ministry of Immigration and Manpower in Egypt through the legal entity located in Egypt, supported by documents regarding the entity for which the foreign national intends to work. A medical certificate showing that the applicant is HIV-negative is also required. No quota system for immigration exists in Egypt. Social insurance contributions are levied only on Egyptian nationals with full-time employment. An employee pays 14% on monthly base salary up to EGP 912.5, and 11% on monthly amounts exceeding this amount or on other payments, including overtime or representation allowances, up to EGP 1,200. To provide relief from double social security taxes and to assure benefit coverage, Egypt has concluded totalization agreements with Cyprus, Greece, the Netherlands and Sudan, which usually apply for an unlimited period of time.